Welcome to this beautiful 5BR, 3BH newly renovated home on one of the prettiest tree lined streets in the neighborhood! This home boasts spacious rooms, brand new features and a sleek, modern design mixed with its original charm. Step through the front door into the living room to see hardwood flooring throughout and tons of natural light. 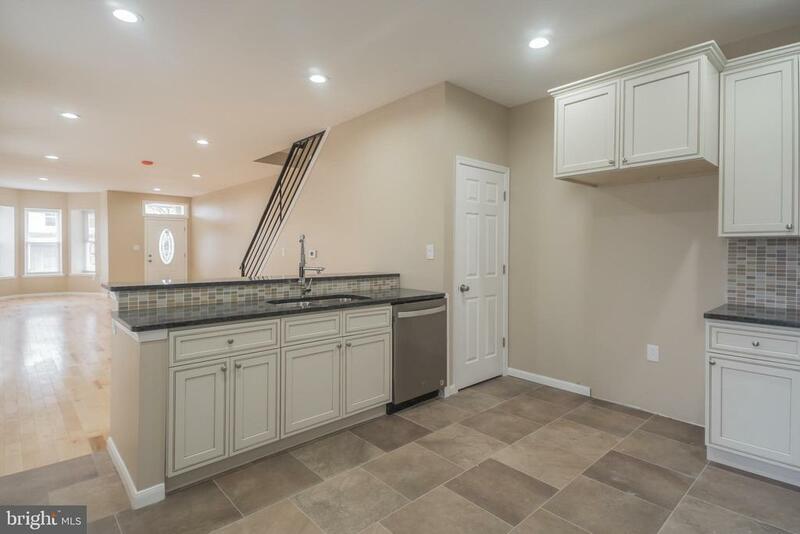 The large kitchen includes newly installed 42~ cream cabinets, stainless steel appliances, granite countertops and plenty of room for seating and a dining room table. Walk to the backyard patio to see a huge space to host parties and have children play games outback. Walk up the stairs to the 2nd floor to see 3 gigantic bedrooms with plenty of closet space and high ceilings. The hallway bathroom showcases fresh cream tiling and excellent fixtures. The 3rd floor includes 2 master bedrooms and one giant bathroom. You can~t get this anywhere else! Finally, the finished basement has newly installed tiles and a full bathroom. It~s the perfect spot for a game room and entertainment center. Come see this home before it~s too late!